The last week was the first week of school for Laetitia and also the first week of infantcare for Loïc. I have to say I am pleasantly surprise that everything went very well. Laetitia started the first day of school on the 1st, a Thursday. Just in the carpark before going to school. 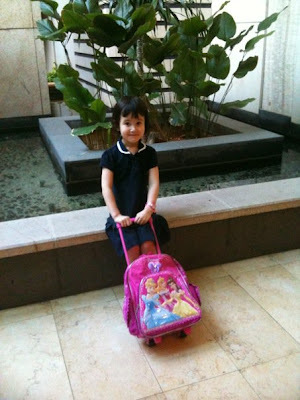 It so happened that her class was going on a field trip to the Aquarium in Sentosa. After some hiccups between the school administration and her form teacher, Laetitia was set to go with her class. She had a wonderful time. She even had a drawing done of her trip showcasing a dolphin. Well, to be fair to my little girl. 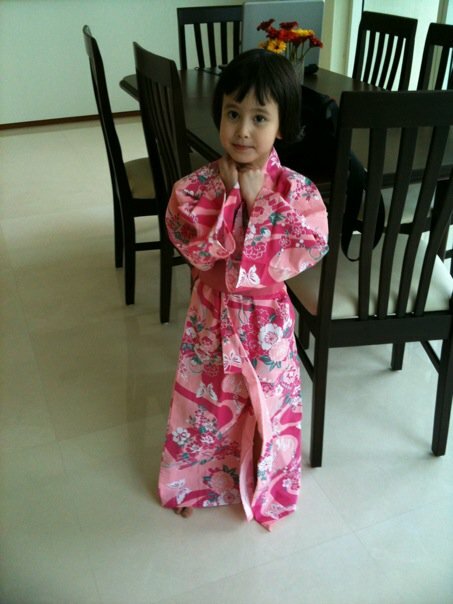 She is on a whole, a very fun and friendly child. Relatively well behaved too though she can be very cheeky. Here's a picture of her being oh so cute in her japanese yukata. As for Loïc, he has adapted really well to his daycare (or infantcare as we call it here in Singapore). I signed him up for half day 1-7pm sessions, Monday to Friday. I will drop him at 1pm but he will usually be picked up by 6pm as he eats dinner at 6:30pm, has his bath at 7pm, a glass of milk before going to his room for the night at 7:30pm. For the first week, on the first day, we both stayed together in the daycare for 2 hours. Here are some pictures of his first day. On the second day, I stayed for 1 1/2 hours and left him for 1 1/2 hours. 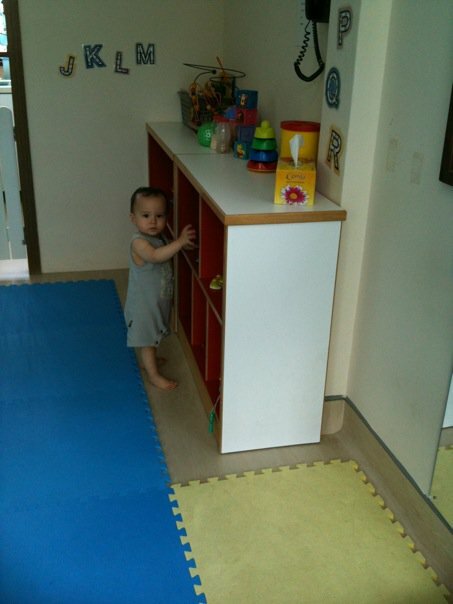 On that day, he refused to nap nor to eat his tea break. On the third day, I stayed for 1 hour and he stayed for 3 hours and lo and behold, he had an hour nap and eat well! From that day onwards, it's been good. He would take at least an hour nap there and would eat his food as per normal. Of course he would cry when I leave but never for more than 5 minutes and after that, he does not cry during the time he is there. I am truly grateful for kids who are very well adaptable. The kids are also responding very well to my new helper, Erlinda. I have very little demands of her except to be vigilant with my children and take good care of them. I do not expect her to clean the house nor do much cooking when the kids are around. She gets a good chunk of a few hours to do household chores when both children are out of the house so she have managed to keep the apartment relatively clean and tidy. So, life is all good. Once we are better settled, I will start to look for a job to go back to work. :-) Initially I had hoped to start earlier but after being here, I realised how much there is to be done! All the administrative stuff plus getting the apartment fully equiped requires lots of attention. Add to that the fact that Etienne is still flying around, it is best that our children have me to rely on. Well, in two weeks time I'll be off to France with Laetitia. I am bring her back to visit her grandparents and I will also take the opportunity to do a little trip by myself. Yes, life is good right now. Indeed you are a blessed mummy with beautiful adaptable kids. 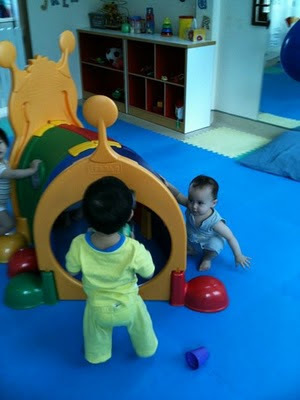 I wished they had daycare centre in HK too. Enjoy your time!